He is at it again. Mega-heretic Kris Vallotton from the cesspool that is Bethel Church has written another blog post revealing further the depraved mind of false teacher. Most false teachers you can pin down to a primary deception but Vallotton is a new breed who ascribes to nearly every false teaching there is and rolls them into his hybrid form of Christianity. A firm NAR adherent, Vallotton also ascribes to the prosperity gospel, false signs and lying wonders, word faith, and experiential Christianity; just to name a few. 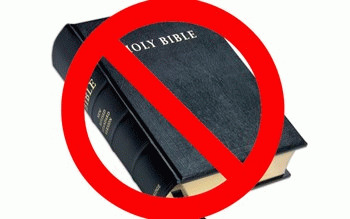 His enemy is the Bible and anyone who insists on reliance upon the Bible. This has never been more obvious than in the link above entitled, "I'm Tired of Small-Minded Christianity." Let us reason together beloved again as we embark on a dangerous journey through this wicked mind that is leading so many people straight to hell. Do not lose sight of the fact that he seems to actually believe this garbage he writes. I propose you are a heretic! Beloved right off the bat we get this distorted dominionist NAR flavor. Nowhere in the Bible does it suggest our role is to influence this world. The Holy Spirit is not trying to influence this world. It is presenting the Gospel so people can be saved from this world. The problem is that Kris Vallotton loves this world. He loves it more than anything because he has figured out how to make a killing in it by making merchandise of the sheep of the Lord and those seeking Him. The limits Kris bemoans are found in Scripture. That is what he feels limits Christians. It is a shame that because he is so focused on the world he loves that he cannot see the true power of transcending this world. That he is incapable of seeing the truly infinite found in eternal life. There is nothing more powerful than the Gospel but Vallotton is too busy hawking his next series selling carnal magic tricks to notice. He then talks about someone named Elon Musk who dared to think big about resolving the Los Angeles traffic nightmare and wanting to colonize Mars. This is who Kris Vallotton holds up for virtue even though he openly admits that he is unsaved. Perhaps Musk is a great visionary according to the fleshly carnality of man but he is a footnote to an eternal God facing an eternity in hell for his worldly efforts. This is the point that keeps eluding Vallotton. By focusing on the wrong world and the wrong life he abandons true greatness for dust. Vallotton claims that even though Musk is unsaved he believes in doing the impossible. How profoundly sad. To Kris Vallotton solving the LA traffic problems or dreaming about colonizing Mars is doing the impossible while he pretends to serve a God who could but say a word and do both. He is so busy marveling at unsaved dreamers that he cannot see the true marvel of thinking big -- saving mankind. It is such a miracle when someone is saved that all of heaven rejoices but Kris Vallotton gets excited when someone wants to build a tunnel to solve traffic in one city on this planet. But according to him, we are the ones who are limited and powerless. Right. Nevertheless, he doubles down. The fact that they are self-absorbed atheists should have given Vallotton pause but instead he continues to gush about people who are brilliant in the eyes of man. He is so blinded by his love of this world he cannot see how the Gospel is the only power worth admiring. It is the only power that can save a man's soul. At the end of the day the tunnels and highways will crumble and fall. Mars will go the same way as this earth. But heaven? That is eternal. Vallotton now lists seven distinct advantages he believes Christians have over unbelievers. He tries to reference Scripture but when you spend your life downplaying the importance of the Bible it is no wonder that you cannot divide it properly. The only one indicted here is Kris Vallotton.